1. PARTICIPANT: Means drivers, mechanics, pit crew members, actual officials of the race, announcers, ambulance crews, tow truck crews, push car crews, newsman photographers, pit gate workers, and all other persons bearing duly and officially assigned pit passes, providing all persons are limited to those who have clearly defined duties directly allotted to them as respects the staging of the Racing Program, or are guests of the insured to whom the insured has issued a “Guest Pit Pass” and to whom no admission charge of any kind has been charged. In no case, however will any member of the general public, or any person otherwise classified as a Spectator be considered a Participant by the terms of this policy. 2. OFFICIAL: Licensed by NASCAR and appointed by Langley Speedway Promoter or Race Director to officiate as an employee or independent contractor at the event. 3. MEMBER: An individual or entity who has been accepted by Langley Speedway as a member pursuant to the Langley Speedway Rules, and whose membership has not expired, or been suspended, canceled or terminated. 4. EVENT: A Langley Speedway event, which includes the designated race as well as all periods for registration, inspections, time trials, qualifying races, practice runs, post race inspections and rain or postponed dates related thereto. 5. COMPETITOR: A driver, car owner, mechanic, crew member or other person (other than a Langley Speedway Official) who participates competitively in a Langley Speedway racing event. Whenever the words competitor, driver, car owner, mechanic, or crew member are used, unless the context indicates otherwise, the term used shall be interpreted to include any driver, car owner, mechanic, or crew member assigned to or a member of a race team. 6. OEM: Original Equipment Manufacturer. 7. STOCK CAR: A vehicle automobile, car, truck, race car, prototype or model that fits the specifications set forth in the Rule Book. 8. NASCAR: The trade name and registered service mark of National Association for Stock Car Auto Racing, Inc.
1. APPLICABILITY: The Langley Speedway Rules Section applies to each Langley Speedway competitor. Some items, obviously, do no apply to each class, you can easily determine which rules do not apply to you (if any). You are expected to know the rules, ignorance will not be tolerated as an excuse. regarding the meaning or application of the Langley Speedway Rules, the interpretation and application by the Langley Speedway Officials at the track shall prevail. 3. FINALITY OF INTERPRETATION AND APPLICATION: The interpretation and application the Langley Speedway Rules by the Langley Speedway Officials shall be final and non-appealable. In order to promote automobile/truck racing, to achieve prompt finality in competition results, and in consideration of receiving numerous benefits available to them. All member, including, competitors and officials, expressly agree that determinations by Langley Speedway rules are non-litigable and they covenant that they will not initiate or Langley Speedway or anyone acting on behalf of Langley Speedway, to reverse or modify such determinations or to recover damages or to seek any other kind of relief allegedly incurred or required as a result of such determination, unless the Langley Speedway officials made such determinations for no purpose other than a bad-faith intent to harm or cause economic loss to the member, competitor or official. If a member, competitor or official initiates or maintains litigation in violation of this covenant, that member competitor or official agrees to reimburse Langley Speedway for the cost of such litigation, including attorneys’ fees, member, competitor or official further covenants that in any litigation brought against Langley Speedway for any reason, the matter will be tried before a judge of competent jurisdiction and hereby waives any right to trail by jury in such action. 4. SPECIAL RULES: Special rules may be made by the Langley Speedway Officials for an event due to extraordinary conditions. Such special rules shall apply to the conduct of that event if they are published or announced prior to the commencement of the event by means of a bulletin, newsletter, telephone fax or pre-race meeting. 5. PROPERTY: Langley Speedway is private property. Any person on this property without the permission of Langley Speedway owners or management is guilty of trespassing and subject to the penalties prescribed by law. Through your license and registration, you have been given the authority and the right to be on this property, in conjunction with racing activities. However, the Administration of Langley Speedway reserved the right to revoke and cancel this authority at any time that it is felt that your presence or conduct is no in the best interests of the sport of auto racing, your fellow competitors, the fans, management and employees of Langley Speedway. 6. EVENT: Any event is completed when over 50% of the scheduled length has been ran by the leader or terminated by the Officials for safety reasons. 7. RACE SURFACE: Ever driver should inspect the racing surface and race track area to learn of any defects, obstructions, or anything which, in his opinion, is unsafe and he shall report that condition to the Competition Director. Any driver entering any race event is considered to have inspected the track and all conditions are satisfactory to him/her. If not, HE/SHE should not race. This further indicated that he/she is aware that auto racing involves risks and he/she assumes these risks with full awareness and knowledge. 8. DAMAGE OR LOSS: Langley Speedway assumes no responsibility for damage or loss of your equipment, vehicle or any parts by any means whatsoever. 9. PROTESTS: All protests as to the finishing position in any race must be made within 15 minutes after the checker flag is displayed signifying the completion of the race. The protest must be made in writing by the driver or if the driver is still on the racing surface, his/her crew chief or owner of the car/truck may proceeds with the protest. Each separate protest, other than specified below, shall be accompanied by $300.00 protest fee. Separate protest that involves the removal of the cylinder head from the engine shall be accompanied by a $500.00 protest fee and a separate protest that involves the removal of the crankshaft from the engine shall be accompanied by a $1,000.00 protest fee. Also, a separate protest fee that involves the removal of a piston and/or connecting rod from the engine shall be accompanied by a $750.00 protest fee. All protest fees must be cash only. Technical Director shall decide whether the matter is subject to protest, and if so shall decide the protest as promptly as possible, and shall inform the parties to the protest of the decision. Technical Director may decline to accept a protest, even if the matter were otherwise subject to protest, if the Official determines that the alleged rule violation is so unsubstantial as to not provide the Competitor with a significant competitive advantage over other Competitors. Any decision made by the Technical Director regarding the protest is final; non-appeal able and non-litigate. Once the decision of the protest has been made, such actions may include, but not limited to, revising the official race results, imposing penalties (disqualifications, suspension, or fines and/or of finishing position(s) in the race) awarding or subtracting points, or taking no action. A scoring decision matter is not subject to protest it is final and non-appeal able. 10. INSPECTION: A competitor must take whatever steps are required, including tear down of the car/truck, as requested by a Langley Speedway Official to facilitate inspection of the car/truck. All cars are subject to inspection by an official at any time and in any manner determined by the Officials. ALL decisions by the officials regarding the timing and manner of inspection as well as which cars will be inspected are final, non-appealable and non-review able. 11. PENALTIES: Penalties for violation of rules may include, but are not limited to, disqualification, suspension of membership, fines and/or loss of points. A suspension may be for the rest of the season or limited to a certain period of time. ALL fines assessed will be paid into the Langley Speedway Divisional Point Fund. The driver is responsible for his or hers race team members including unpaid fines. Unpaid fines for crew members may be deducted from drivers purse or point fund monies. Any driver who intentionally causes a caution condition by stopping or spinning out or any other action is subject to a fine and/or lap or time penalty. 12. Any driver who does not attend the mandatory driver’s meeting will not be eligible to qualify and must start at the rear of the field for their respective division, unless prior notification is given to the Chief Scorer and/or Race Director. 1. NO member will be allowed in the pit area until he or she has obtained the proper membership credentials, pit passes and has signed all the necessary releases and waivers for each event. a. A competitor must have the license for the appropriate sanction body to participate; i.e. NASCAR, INEX, HRKC license appropriate to Driver, Crew and/or Owner for any NASCAR, INEX, HRKC sanctioned event at Langley Speedway. b. A competitor must have the license for the appropriate sanction body to participate; i.e. NASCAR, INEAny competitor wishing to compete in more than one event per race night, must pay to entry each event. Also the competitor must have the appropriate licensing for each event; i.e. NASCAR, INEX, HRKC.X, HRKC license appropriate to Driver, Crew and/or Owner for any NASCAR, INEX, HRKC sanctioned event at Langley Speedway. 2. All membership and credentials must be visible at all times. A Langley Speedway License, NASCAR License and INEX licenses are non-transferable and non-assignable. They may only be used by the member to whom it is assigned. If a license intentionally or unintentionally transfers, assigns or otherwise permits another person or entity to use or attempt to use the licensees license, then the licensee shall be subject to disciplinary action. 3. Langley Speedway reserves the right to accept or reject entry (car owner, mechanic, and/or driver) for any event. Divisions that have a “Division Sponsor” shall be required to display the sponsor’s Track provided decal on the racecar in a manner acceptable to both the Promoter and Race Director. Race cars/trucks that fail to display the Track provided decal will not be allowed to race and will forfeit all Langley points, NASCAR points for NASCAR sanctioned division(s), INEX points for INEX sanctioned division(s), HRKC points for HRKC sanctioned division events and all payouts for that race event if applicable. 4. Any member involved in an accident while on the racing premises and who does not report to a Langley Speedway Official before leaving the premises (providing said member is able to make such a report) will not be eligible for benefits prescribed under the Benefit Plan. Any member returning to competition or usual occupation after injury shall be deemed for the purpose of the benefit plan, to be physically fit, and further disability benefits and/or medical benefits shall cease as of the date of release. 5. All participants will please stand at attention during the National Anthem. All cars must be stopped with motor off. 6. NO alcoholic beverages will be permitted in the pit area. Anyone using intoxicating beverages before entering into the pit area, or while in the pit area, will be ejected from the pits, suspended, and/or loss of membership privileges. NO person or persons involved in the racing events shall be under the influence of intoxicating beverages. No participant may buy or drink beer at the concession stand until their racing events are over for the evening. 8. All persons admitted to restricted area of the track must obey all rules and regulations set forth by the Speedway. Each person so admitted will sign all releases of liability requested by the track. 9. An Official may eject a licensed competitor from an event or from racing premises in any situation to promote the orderly conduct of any event. An ejection is final, non-appealable and non- reviewable. A Rookie shall be defined as follows: Any driver that has completed 5 or less events in any single race season during the previous 5 years in the same race division. Example: Driver competes in 5 (or fewer) events every year for 5 years is eligible for “Rookie” status. Any drivers that meets the definition of Rookie and desires to be eligible for any Rookie of the Year Awards must declare themselves for eligibility in writing. Such declaration must be made after completing 3 events and prior to taking the green flag in their 5th event. The written request shall be handed to the Race Director or his designate. Rookies shall be required to display a yellow stripe on the rear of the car. The Race Director will determine if the stripe meets Langley Speedway’s requirements. The Race Director’s decision shall be final. 11. All car/truck numbers will be required to register with Langley Speedway office. There is a $25.00 per number fee, which will make that number good for the entire upcoming season. If a competitor ran that number in the proceeding season, he or she has until last pre-season practice to register and pay for his or her number. (Last pre-season practice is the Thursday night practice prior to Opening night). After that date; the number will be made available to be registered by another competitor, who must register and pay for that number prior to racing at Langley Speedway. This will then give the number to that competitor for rest of that racing season. 1. Participants legally entering the pits and/or restricted areas are covered by insurance for specific limits. When involved in an accident involving an injury, advise the racing Officials in charge so the necessary insurance forms can be handled properly. NO claims will be considered unless reported prior to leaving the Speedway property that day of event. 2. To all participants. 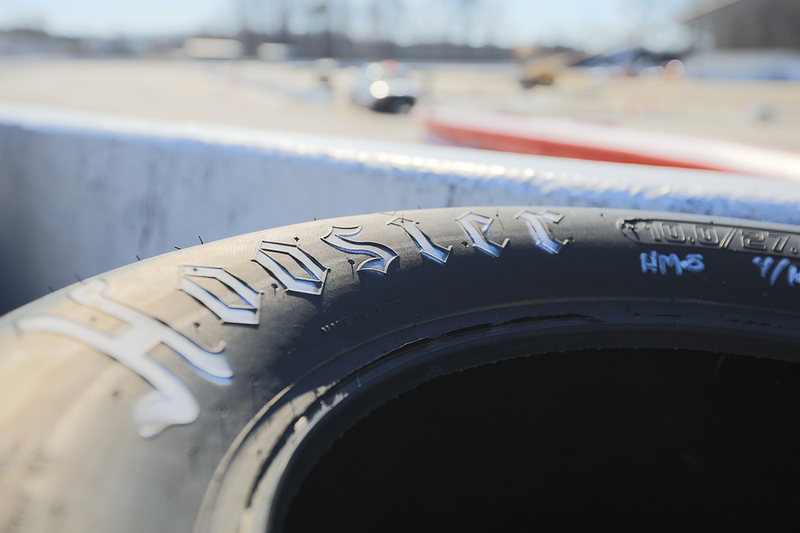 Any insurance claim filed on any injury sustained on the Speedway property must be filed through your insurance carrier first: NASCAR, INEX, and HRKC is considered secondary insurance and will cover charges not covered by your primary insurance carrier. If you do not have insurance NASCAR, INEX, and HRKC will become your primary insurance carrier . 3. MINORS- NO one under the age of 16 years old can be admitted to the pit area. Minors ages 16 to 18 years of age must have Langley Speedway minors release parents or guardians and apply for a Langley Speedway membership before they will be admitted to the pit area. 4. Insurance is voided if participant partakes of any alcoholic beverages, stimulants, depressing or tranquilizing drugs, or is otherwise under the influence of alcohol or drugs, or is suspended or not properly admitted to the pit area or restricted areas. 5. The only people allowed on the race track area are Racing Officials. Everyone must stay off the race track at all times unless requested by an Official to assist for some special reason. Drivers may seek a place of safety in the infield following disablement. When a driver is involved in an accident and can not get to the infield area, the driver must remain in his or her car until an Official gives you permission to get out of the car. Pit crews, car owners and personnel related to any car/truck are not allowed on the track following an accident or injury. 1. NO driver shall compete in any event with head or arm extended outside of a closed body race car/truck. 2. NO race car/truck shall enter the racing premises until the track surface has opened for official practice. 3. NO one will be permitted to ride on the outside of a race car/truck at any time. 4. Front drive shaft hoops are mandatory for all divisions, front and rear hoops are mandatory for Late Models and recommended for all other divisions. 5. ALL roll cage tubing within 36″ of drivers head must be padded. 6. On board fire extinguishes are mandatory for all divisions. The starter has the authority to start any event whether all cars/trucks called onto the track are ready or not. . It shall be the policy of Langley Speedway to make every attempt to end all events with a “Green White Checker” finish. At no time will the Race Director instruct the flagman to display the Green and White flags at the same time. Line-ups for all events will be posted at the pit board well before the starting time of the event. It is the responsibility of the driver to check their starting position and be ready to race when called for an event. Cars/trucks not ready to race may be placed at the rear of the line-up or disqualified from the event. Presenting for the Race; All cars/trucks that are in the official starting line-up or present on the starting grid must take the green flag in order to recieve points and payout. If the car/truck enters the event after the green flag prior to the checkered flag the finishing position for this car/truck will be determined by its starting position in relation to the other finishing cars/trucks in the event. Any car/truck that loses a wheel, has a door, hood, or trunk lid come off or open, or is observed to be dragging any part of compartment, or loose door bars or exhaust protruding in width outward from the vehicle or any other problems that may endanger another competitor may be black flagged at the discretion of the Officials. A car/truck that can not continue or is involved in an on track incident; will be placed in a designated area behind pit road until the race event has been completed. Depending on circumstances, Track Officials and or management can have the car/truck removed from the race track directly to the outside pit area or other designated area. 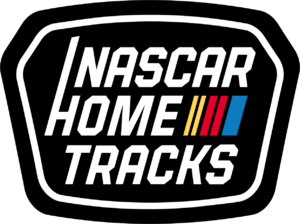 For all NASCAR sanctioned races the following procedure will be used: When a caution flag is displayed in the last 5 laps of the race event; all lapped cars/trucks will be placed to the rear of the field, behind the last car on the lead lap, based on the last green flag lap position of the lapped car and then it will be a single file restart with no cone. If a caution is called after the field has taken the green flag; the field is re-set by placing all cars/trucks back in their original starting position except for the car(s)/truck(s) involved; they are put to the rear of the field based on how they left the caution area, and/or entered the pits for repairs, etc. If a caution is called on any lap except for the 1st and if over half (1/2) the field has passed the start finish line; that lap is kept for lap count only, but all cars/trucks will be lined up based on the last green flag lap. If less than half (1/2) of the field does not cross the start finish line, then this lap is not kept and line up reverts back to the last green flag lap. After the yellow flag is displayed, the first eligible car/truck one (1) or more laps down to the leader at the time of the caution period, will be given one (1) lap back. The eligible “Free Pass” car/truck number will also be displayed on the Black Flag Light Board on the flagman’s stand at the start finish line. At this time the “Free Pass” car/truck will then line up behind the caution/pace vehicle and remain there until the one (1) to go signal has been given. At this time the Free Pass car/truck will pass the caution/pace vehicle to the outside. All “Free Pass” cars/trucks must be the last car/truck at the tail end of the longest line. At the one (1) lap to go signal the cone will be placed at the start/finish line. Competitors at this time will choose a restart position by committing to the inside or outside lane of competition. This will set the field for a double file restart. Competitors not eligible for the cone restart will be the following. If a competitor falls out of the 1st race before the completion of at least ½ of the race laps at normal speed; will start were they finished in the 1st race and will not be eligible for the Free Pass or the Cone at all during the second race. 1. Upon admittance to the pit area, you must conduct yourself in a manner no detrimental to stock car racing. Profanity in front of race fans, Officials, management, and profane signals on cars, etc… will not be tolerated and may be subject to suspension and/or fine. UNSPORTSMANLIKE CONDUCT AND/OR DETRIMENTAL TO THE SPORT OF AUTO RACING WILL NOT BE TOLERATED. 2. General appearance of pit crews must be neat, clean looking, or they will not be welcome in the pit area. 3. NO driver may stop his or her car on the track to argue or discuss the race with the starter or Officials. Violation may subject you to disqualification from the event or suspension, or fine according to the decision of the Officials. 4. Verbal or physical abuse of an Official, such as improper language, striking an Official etc., will result in immediate and indefinite suspension. 5. FIGHTING WILL NOT BE TOLERATED. All drivers are held responsible for the conduct of their crew members and will be dealt with accordingly by the Officials. Anyone going to another drivers pit area or car/truck may face suspension. 6. The press box is off limits to all participants at all times unless permission is given by the Chief Steward for you to be there. 7. Any driver who, in the judgement of the Officials, engage in rough driving,….. deliberately running into, blocking, or swerving in front of another car…. may be subject to suspension. Any car intentionally blocking the track will be barred permanently (owner and driver). 1. ILLEGAL DRUGS, DEFINITION: Illegal drugs are those substances defined and prohibited by local, state, and /or federal laws. 2. GENERAL PROHIBITION: Possession or use of illegal drugs or drug substances, as defined above, is prohibited in any form, by any participant at Langley Speedway, either on the Speedway ground, or in any area considered to be used in the operation of the Speedway, including but not limited to parking lots, office areas, and/or any and all Langley Speedway property. A. Suspension from competition and eviction from Langley Speedway property and denial of further entry to the Speedway for a period of time to be determined by Officials. B. Any participant who is formally charged by a court of law with illegal drug violation, upon notification to Langley Speedway by the agency, shall be suspended from all forms of participation at Langley Speedway until such times as the charges are fully adjudicate through the legal process. Any participant convicted of a formal drug charge by such process of law will be prohibited from taking part in any Langley Speedway events for a minimum period of one year from date of conviction. 4. APPEAL AND HEARING: Any participant suspended for violation of these rules may be granted an appeal hearing by a board of Officials designated by Langley Speedway provided the suspended participant requests such a hearing, in writing, within 14 calendar days or the date of suspension. It is the responsibility of the suspended party to make such a request if a hearing is desired.